Learn, Create, and Love is posting a new FREE craft series – City & Town! 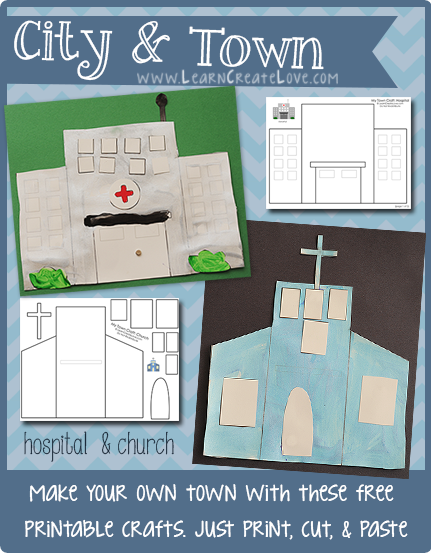 Each week, she will be posting two new buildings/homes/etc that you can print and craft! This week’s buildings are a hospital and a church. Check her site to grab the others!